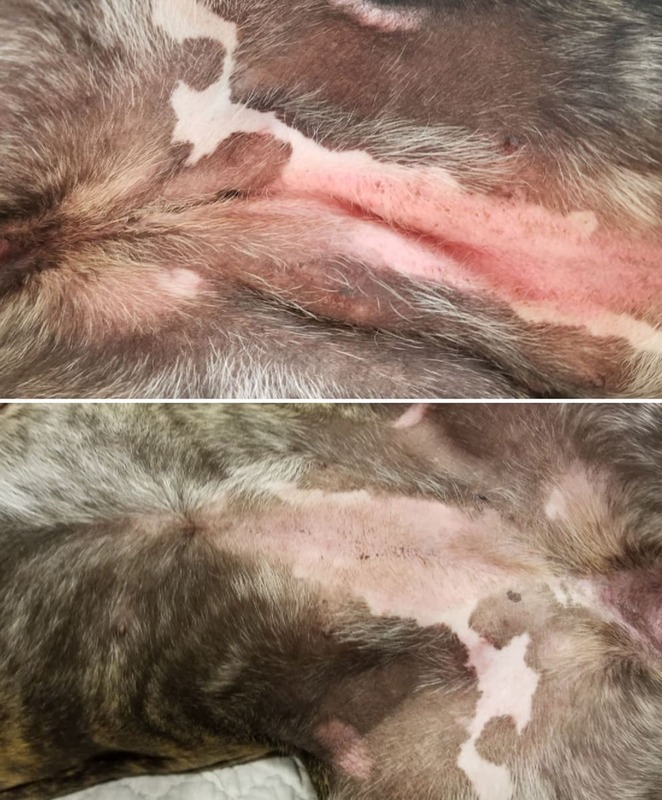 If your pet suffers from skin issues or joint or muscle discomfort, you know it can be a struggle to provide them with relief. Choosing a product containing both topical and internal benefits can be advantageous. That is why Treatibles developed a Topical Cream especially for cats and dogs that is rich in dermal penetrating ingredients for maximum absorption. The proprietary formula includes organic full spectrum hemp oil featuring naturally occurring CBD along with supporting cannabinoids and terpenes, shea butter, aloe, organic coconut oil, olive oil, beeswax, methylsulfonylmethane (MSM), dimethyl isosorbide (DMI), sodium borate and vitamin E.
As a topical, full spectrum hemp oil promotes a normal inflammatory response, helps reduce discomfort and supports a strong immune system. It is also ideal for managing hot spots, cuts, burns, scrapes and blemishes. When absorbed, the endocannabinoid system can utilize the oil to help regulate the neurological, immunological and physiological functions of the body to help create calm, balance and ease and provide support for relaxing, repairing or restoring. Treatibles Topical Cream is easy to apply. Simply place a small amount on the affected area, on the tip of a pet’s ear or on a hairless area of the pet’s body and rub gently. This product is intended for external use only. Suggested retail price for Treatibles Topical Cream (4 oz) is $60. It can be purchased by visiting the shop page, as well as at pet supply stores nationwide.